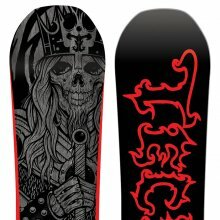 The Technine Team Brewer is a board we tried after a few people asked us to add them to the site. Its a small jib board with a pretty stiff flex and not much of a playful feel. The board had a very dull edge to edge feel and just didin’t suit our riding style. It also felt pretty heavy for it’s size. Something was off for us with the ride. It can handle jibs well or urban adventures but we didn’t have much to say about it after we rode it. Here is our review of the board. It’s not a bad jib to street board but not much else was going on. We try to get as many images of the Technine Team Brewer, but forgive us if they're not all there.